Welcome to Red Rock Oral Surgery and Dental Implant Centre. Setting a Standard of Excellence for 15+ years. Book Your Appointment Today. Mark I. Degen, D.D.S., M.D. Hospital-standard capabilities, private practice atmosphere. Our main set of services includes performance of anesthesia for surgical cases like wisdom teeth removal and implant placement, among other common oral surgery procedures. Dr. Degen is a dual M.D. & D.D.S. licensed surgeon and Red Rock is accredited by The Joint Commission, a national accreditation organization that accredits and certifies nearly 21,000 health care organizations and programs in the United States. Joint Commission accreditation and certification is recognized nationwide as a symbol of quality that reflects an organization’s commitment to meeting the highest and safest performance standards. Red Rock provides the gold standard when it comes to oral & maxillofacial surgery services. Our doctors and staff pride themselves in providing patients with excellent care and quality customer service. We want every aspect of your visit with us to be as comfortable and pleasant as possible. Our state of the art office utilizes the latest computer and software technologies to make your visit as efficient and convenient as possible. Come in for your consultation and we'll create a plan that fits your specific needs. From Oral Surgery to Skin Treatment Options, We Have You Covered. Our staff is highly skilled at all aspects of oral & maxillofacial surgery, including facial trauma and reconstruction, wisdom teeth removal and dental implant surgery. Dental implants are designed to look, feel, and function just like your own teeth and are a great alternative to dentures. We are also well-versed in techniques for treating skin that is wrinkled, scarred or otherwise damaged. Dr. Degen attended New York University College of Dentistry where he received his Doctor of Dental Surgery degree in 1997. Upon completing dental school, Dr. Degen went on to earn his Doctor of Medicine degree from Louisiana State University School of Medicine in New Orleans, Louisiana. Dr. Polyak is a board certified physician, practicing cosmetic medicine and has been trained by the Meso Aesthetics Training Institute directed by Samuel M. Lam, M.D., a Board certified Plastic Surgeon and a National Botox Trainer. She is the primary Cosmetic Medicine Provider at RedRock OMSC. Dr. Degen came highly recommended to me by my doctor and took great care of me when I needed a tooth extracted and an implant placed. He thoroughly communicated what to expect through the whole process. He was kind, gentle and knowledgeable. I had extensive work including maxillofacial reconstruction surgery in 1989 and I have never met a finer example of an oral surgeon as Dr. Degen! It has been 4 days now and my mouth is in no pain and I haven't even taken the pain meds. Thank you all at Red Rock for everything! Recently I was in need of oral surgery and was referred to Dr. Degen's office. The entire experience was wonderful and everyone on staff was also very professional and efficient. If you are in need of an oral surgeon, this is definitely the place to go. Exceptional! Dr. Mark Degen is the exclusive Oral & Maxillofacial Surgeon helping cancer survivors through the Smiles for Survivors Foundation. 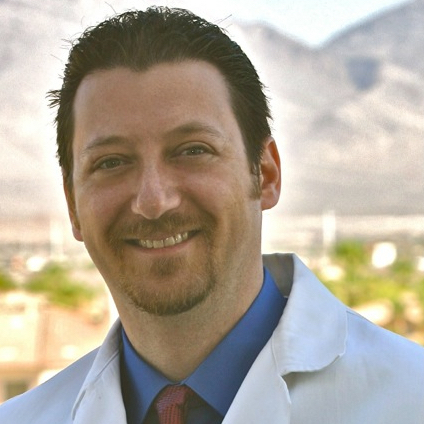 Dr. Mark Degen was interviewed by Dao Vu and Shawn Tempesta on The Morning Blend show on Channel 13 KTNV ABC Las Vegas regarding the Smiles for Survivors Foundation. Dr. Mark Degen was interviewed by Beth Fisher for KTNV Channel 13 regarding his involvement with the Smiles for Survivors Foundation. The piece aired on November 30, 2012 in Las Vegas during the 6pm Action News. Schedule your consultation with us online if you're a new patient, or reach out and ask us anything about our practice.